I’m surprised by the amount of set-ups that I found tonight considering the choppiness of the last two weeks. I’m not sure what to make of it, but the market will let me know soon enough. I’m going to play extra attention to the energy sector because like I mentioned yesterday on my weekly digest, XLE is one of only two S&P sectors that is above its 50-day moving average, plus the energy sector is also dominating the top 20 industry list this week. 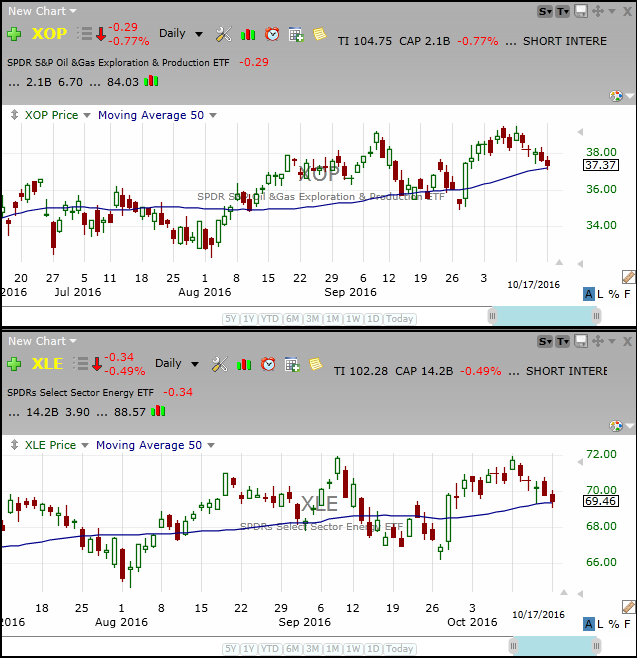 The XLE and XOP (oil&gas exploration) are both down five days in a row and testing their respective 50-day moving average. The 50-day may or may not act as support; my interest will be if and only if it can get through today’s high. APA, PXD, NOV, NR, WLL, WPX, DK, AR, are the individual energy names of interest on the long side if and only if they get through today’s high. 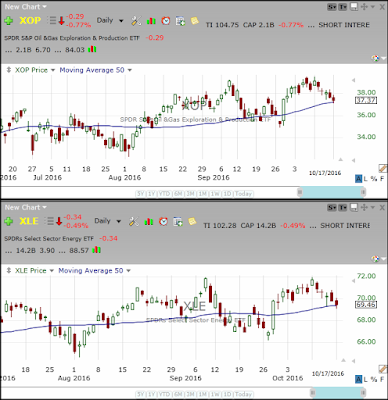 One can also make life easier by focusing on the actual ETF’S; XLE, XOP, ERX, GUSH. TNA, BVX, AREX, HWAY, ETSY, CTRL, MX, SINA, DTLK, BZH, NVRO, LN, PAYC, VMW, are the rest of the stock of interest on the long side if and only if they get through yesterday’s high.